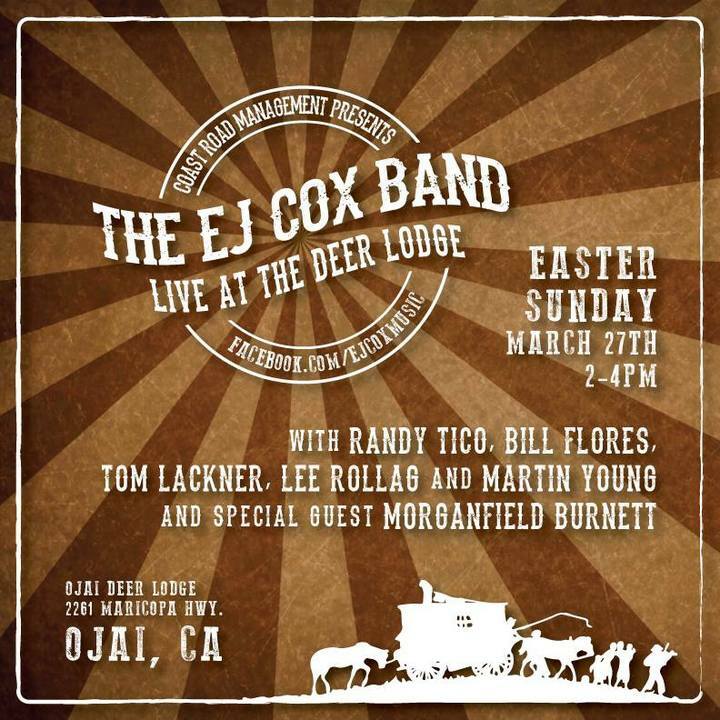 Head over to The Deer Lodge in Ojai this Easter Sunday, to hear EJ Cox entertaining the crowd with songs from his debut album, "River Town". Cox will be joined on stage by Randy Tico and Bill Flores of "Jeff Bridges and The Abiders", and former guitarist for Clint Black and Ojai local, Lee Rolag and Martin Young. The guys will be playing from 2-4pm.